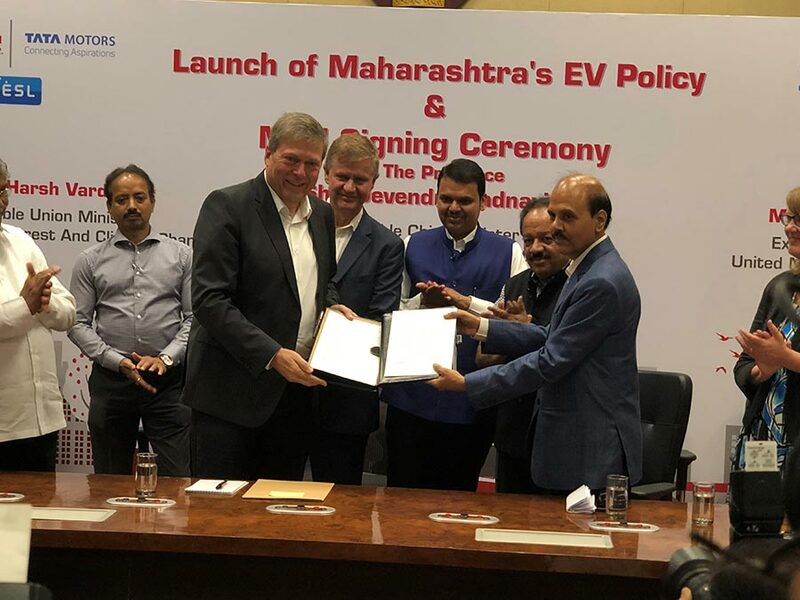 As part of the World Environment Day celebrations, Tata Motors today signed a Memorandum of Understanding (MoU) with the State Government of Maharashtra for deployment of 1000 Electric Vehicles (EV) across its range of passenger and commercial vehicles in the State. Partnering with a Tata group company, Tata Power Ltd, Tata Motors will facilitate setting up of EV Charging Stations in the State. The MoU boosts the Maharashtra Electric Vehicle Policy 2018 in accelerating the adoption of EVs in Maharashtra. Guenter Butschek, CEO & MD, Tata Motors signed the MoU in the presence of the Chief Minister of Maharashtra, Shri Devendra Fadnavis. Additionally, the Chief Minister also flagged off 5 Tigor EVs at the Gateway of India, Mumbai. These vehicles were provided by Tata Motors to EESL as part of its tender. Tata Motors is committed to the Government’s vision of e-mobility in India. We are excited to join forces with the Government of Maharashtra towards this endeavor. We are uniquely positioned to leverage the strength of our group companies to create an EV ecosystem. With our ready portfolio of EV offerings across our passenger and commercial vehicles, we are geared up to meet future requirements beyond the current tender commitments. We are committed to making Maharashtra EV ready and to the Government’s ambition of providing green technology solutions. We are happy to partner with Tata Motors to deliver on the Government and Group’s vision of reducing India’s carbon footprint and enabling the customers with a sustainable future. We are happy to present Maharashtra with various electric vehicle charging stations that cover the wide expanse of the State. With these installations, Tata Power continues to pursue sustainable practices by using technology to provide Maharashtra customers access to energy-efficient options with ease. As part of our tender with EESL, we have already completed the production of 250 cars and initiated the execution of phase 2 orders. 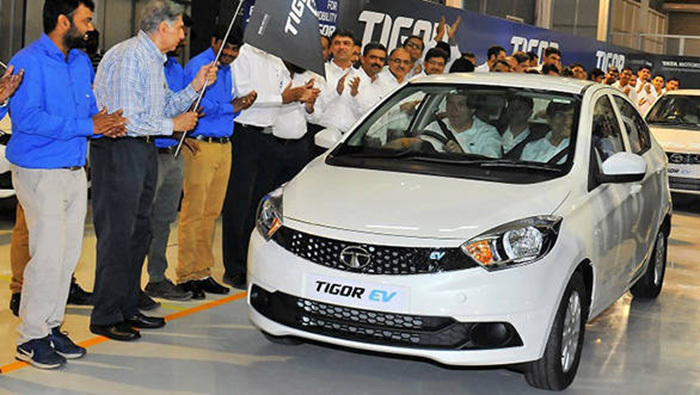 Today’s delivery of 5 Tigor EVs by EESL to the Maharashtra Government has effectively paved way for connecting our aspirations in the e-mobility space with the Government’s vision. With Tigor EV, we have begun our journey in boosting e-mobility and will offer a full range of electric vehicles to the Indian customers. We continue to work in a collaborative manner to facilitate faster adoption of electric vehicles and to build a sustainable future for India.